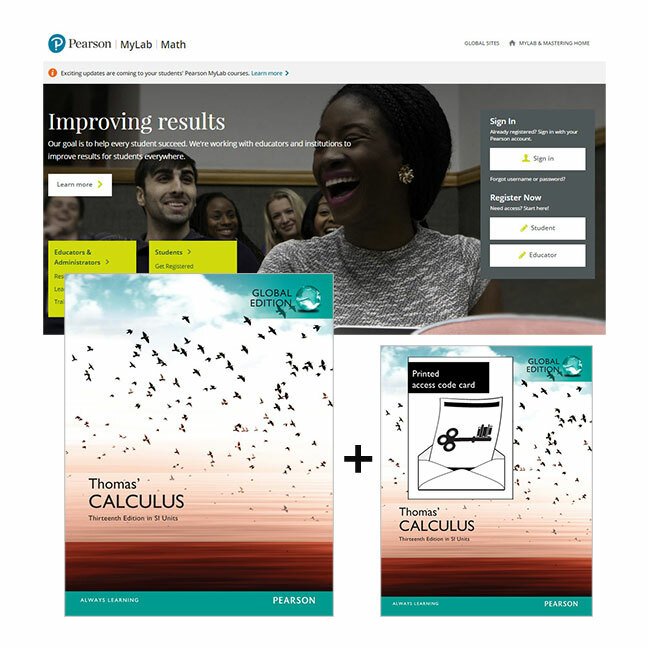 This pack contains 1 copy of Thomas' Calculus in SI Units + 1 printed access card to MyLab Math with eText. MyLab Math is an online homework, tutorial, and study solution designed for today’s students. In addition to interactive multimedia features like lecture videos and eBook, nearly 9,000 algorithmic exercises are available for students to get the practice they need. MyLab Math is not a self-paced technology and should only be purchased when required by an instructor. The duration of access to MyLab Math is set by your instructor for your specific unit of study.